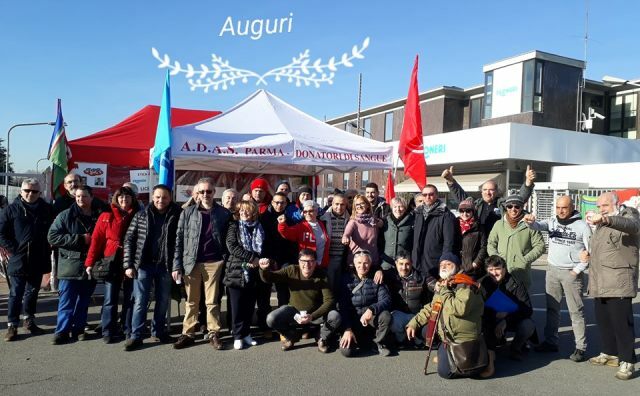 The long, difficult struggle of the workers at the Nestlé-Froneri ice cream factory in Parma, Italy, backed by their unions FLAI-CGIL and UILA-UIL and the IUF, resulted in a settlement on December 21 which brings provisions the company had persistently refused to consider or negotiate. In addition to financial compensation, the company will provide outplacement services, even for seasonal workers, and include in any sale agreement a guarantee of preferential hiring for the dismissed workers. There is a great sense of bitterness over the callous decision of the company to destroy history, jobs and skills. It was the wrong choice dictated by financial, rather than industrial, motivations. However, there is also the awareness that the determination and extraordinary mobilization mounted by the workers has resulted in an agreement that the company had initially refused to consider. The Froneri dispute brought a community together and generated solidarity between workers. The dispute fostered international relationships and showed us the impact of our global federation. The workers of Parma have come out of this fight stronger and more unified.